Our hearts cannot express enough how painful this is for our FCM congregation and for her family. Please be in prayer for all. She will be missed tremendously. Debra (Debbie) Harchelroad Guthrie was born February 10, 1952 in Pittsburgh, PA. She graduated Mt. Brook High School 1970. She attended Florida State University & University of Alabama Birmingham where she received an Educational Specialist (Ed.S) degree which far exceeds the Master’s degree level. Debbie taught 25 years in Birmingham public schools spending most of those years at Ramsey High School. She taught art, math, Spanish and was coach of the math team. 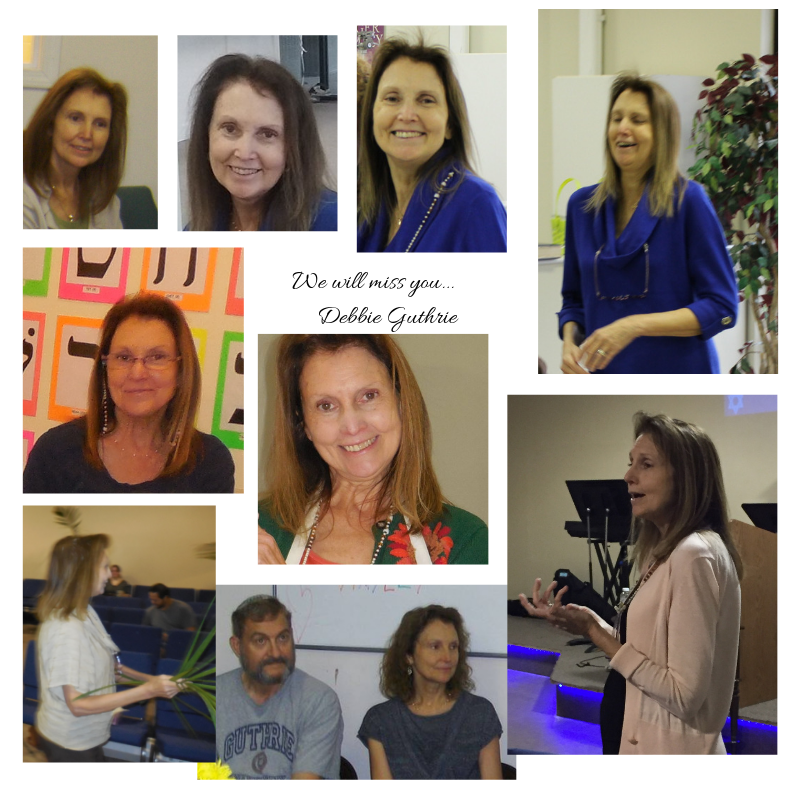 After retiring, Debbie continued teaching 10 years at Gwinnett Technical College, Atlanta, GA.
She resided in Conley, GA. and was a devout member of 1st Century Ministries. Debbie was a very kind and loving soul. 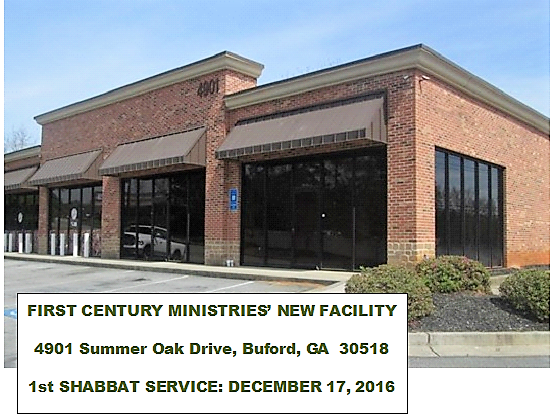 Her lifelong search for Christ led her to the Messianic Jewish Community in Buford, GA. It became the center of her life and she found great fulfillment teaching theology to the children and Hebrew classes. Debbie was preceded in death by her loving and devoted husband, Dale Eugene (John) Guthrie and by her parents, John (Jack) and Doris Harchelroad, Sr. She is survived by her siblings: Sharon Ritchie (Shannon), Susan Harchelroad, John Harchelroad, Jr. (Laura Roh), and David Harchelroad (Leigh Ann Whitson), and 7 nieces and nephews. In lieu of flowers, the family requests memorial donations be made to 1st Century Ministries, 4901 Summer Oak Dr, Rest Haven, GA 30518. MANY THANKS TO ELOHIM FOR PROVIDING A NEW FACILITY FOR FCM! Matthew 7:7 “Ask, and it will be given to you; seek, and you will find; knock, and it will be opened to you. 8 For everyone who asks receives, and he who seeks finds, and to him who knocks it will be opened. 9 Or what man is there among you who, if his son asks for bread, will give him a stone? 10 Or if he asks for a fish, will he give him a serpent? 11 If you then, being evil, know how to give good gifts to your children, how much more will your Father who is in heaven give good things to those who ask Him! 12 Therefore, whatever you want men to do to you, do also to them, for this is the Law and the Prophets. Hebrews 10:19 Therefore, brethren, having boldness to enter the Holiest by the blood of Jesus, 20 by a new and living way which He consecrated for us, through the veil, that is, His flesh, 21 and having a High Priest over the house of God, 22 let us draw near with a true heart in full assurance of faith, having our hearts sprinkled from an evil conscience and our bodies washed with pure water. 23 Let us hold fast the confession of our hope without wavering, for He who promised is faithful. 24 And let us consider one another in order to stir up love and good works, 25 not forsaking the assembling of ourselves together, as is the manner of some, but exhorting one another, and so much the more as you see the Day approaching.